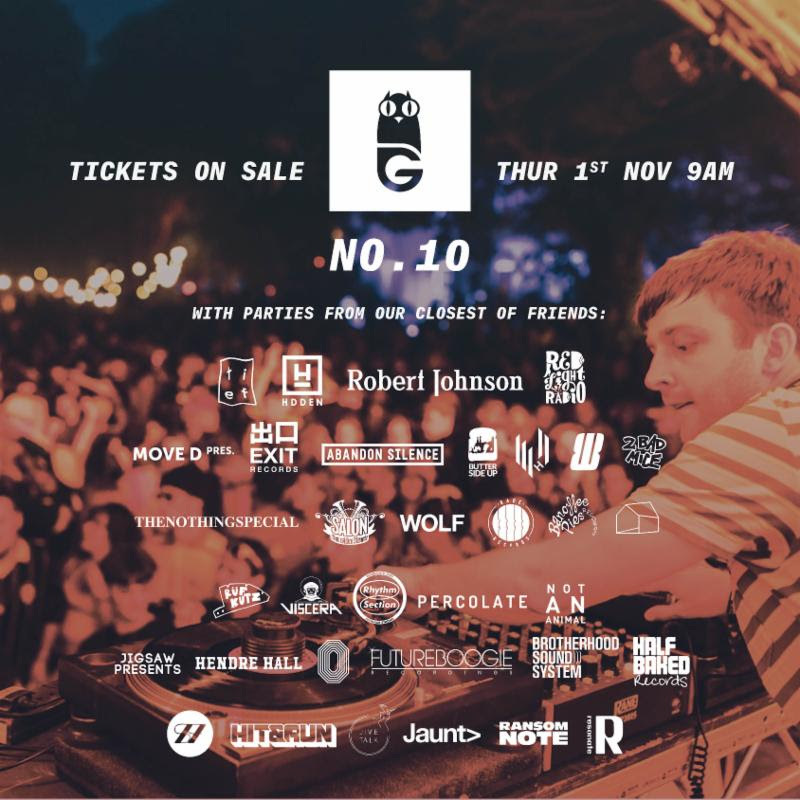 Gottwood 2019 tickets go on sale on Thursday (November 1st) with the partners for its 10th annivesary revealed. Returning to the idyllic woodlands of North Wales with a limited capaccity of 5,000, the music festival will hosting parties with regulars plus new recruits such as Frankfurt’s Robert Johnson who will be commemorating their own 20 years milestone, Red Light Radio, d:Bridge’s Exit Records and Move D who will curate his own lakeside takeover. Meanwhile Ransom Note, Rhythm Section, Butterside Up, Wigflex, Banoffee Pies, The Nothing Special, Salon - Zur Wilden Renate, Half Baked, Stamp The Wax, Hidden, Abandon Silence, WOLF, Ruf Kutz, 2 Bad Mice, Brotherhood Soundsystem, Futureboogie, Hendre Hall, Hit & Run, Hypercolour, Jaunt>, Jigsaw Presents, Jive Talk, Melodic Distraction, Not An Animal, One Records, Percolate, Resonate, Studio 89, Tief, Viscera and Warm Up will all be involved. When the first names for the line-up are announced, expect a mix of breakthrough artists, renowned selectors and birthday surprises. Gottwood 2019 tickets go on sale at 9am on Thursday, November 1st from gottwood.co.uk.